Several years ago, the historic Boys and Girls High School was designated a “failing School,” and plans were announced for its possible closing. Bedford Stuyvesant leadership, led by the Community Advisory Board of BGHS, thwarted those efforts. 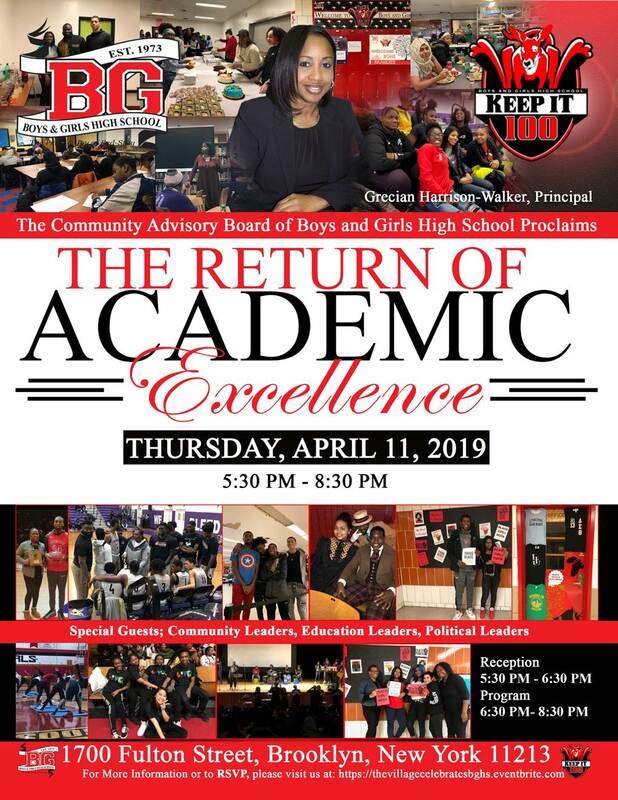 On Thursday April 11th from 5:30 to 8:30pm the board and other Bedford Stuyvesant leaders will celebrate the Return of Academic Excellence to BGHS, recognizing the outstanding achievements of Principal Grecian Harrison-Walker and her team. 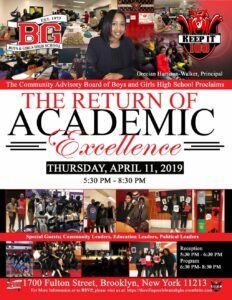 The public is invited to join this joyful and historic event attended by community, educational and political leaders and other guests, including, of course the hardworking students. It will be held at the school, 1700 Fulton Street between Stuyvesant and Utica Avenues. The reception is from 5:30 to 6:30 and the program from 6:30 to 8:30. Dr. Albert Vann, Co-Chair Advisory Board and former New City Council and Assembly Member was extremely pleased and proud. The Advisory Board is packed full of accomplished local civic, political and business heavyweights who were determined to deliver a victory. Its members are: Co-Chair, Dr. Albert Vann; Co-Chair, NYS Regent, Dr. Lester Young, Jr.; Congressman Hakeem Jeffries; Senator Velmanette Montgomery; Assemblywoman Tremaine Wright; Councilman Robert Cornegy, Jr. Colvin Grannum, President, Bed Stuy Restoration Corp.; Richard Jones, Medgar Evers College, CUNY; Dordy Jourdain, Ex. Director, Bed Stuy YMCA; Hon. Annette M. Robinson; Lynette Lewis-Rogers, Brownstoners of Bed Stuy; Hon. 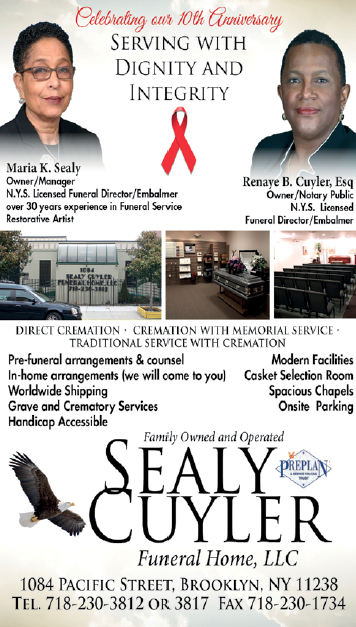 Betty Staton, Chair, Brooklyn Legal Services and Stefani Zinerman, Strategic Consultant & Civic Leader. Previous articleBrenda Brunson-Bey: Fabulous Is Her Business!